Hi everyone! And welcome to my stop on the Cloud9 New Block Blog Hop tour of 2016!! 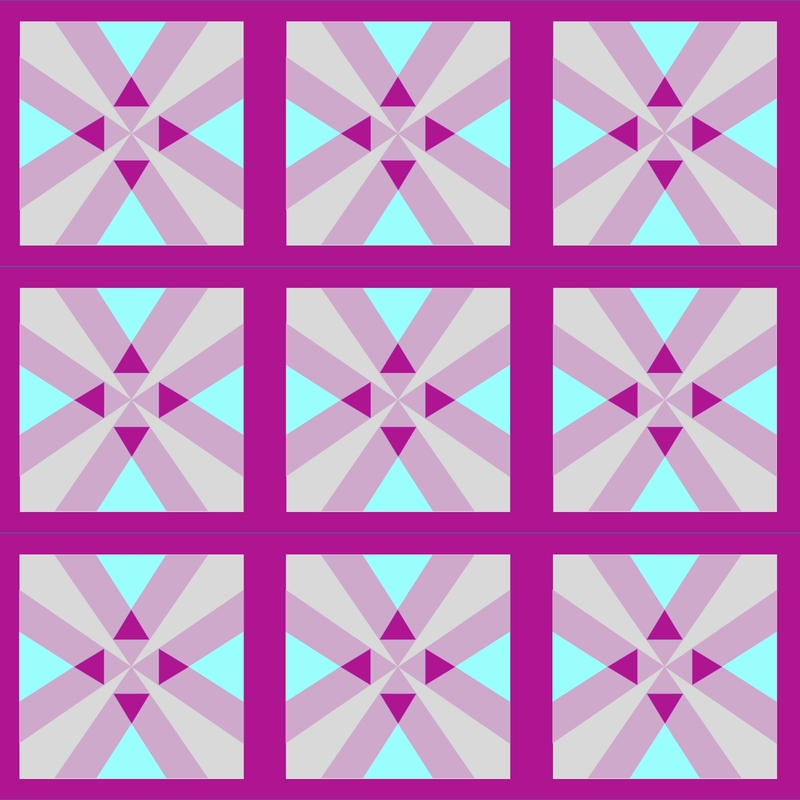 After having such a great time participating in my first blog hop – the 2016 New Quilt Bloggers Blog Hop – I jumped at the chance to participate in the second hop organized by the lovely Yvonne from Quilting Jet Girl, Cheryl from Meadow Mist Designs and Stephanie from Late Night Quilter! I really do love how thoughtful and caring our community is and this project is a great example of that. Each participant committed to designing a new quilt block pattern featuring Cloud9 Fabrics' Cirrus Solids that would be sewn together into quilts to be donated to a charity. 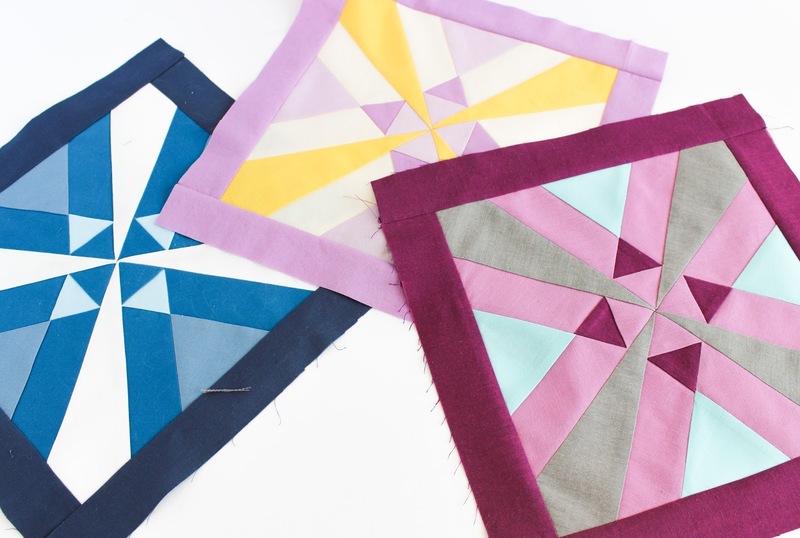 We get to challenge our design skills and play with gorgeous fabric, a charity benefits from handmade quilts and you get lots of free quilt block patterns!! It’s a win-win-win and I just love when that happens! 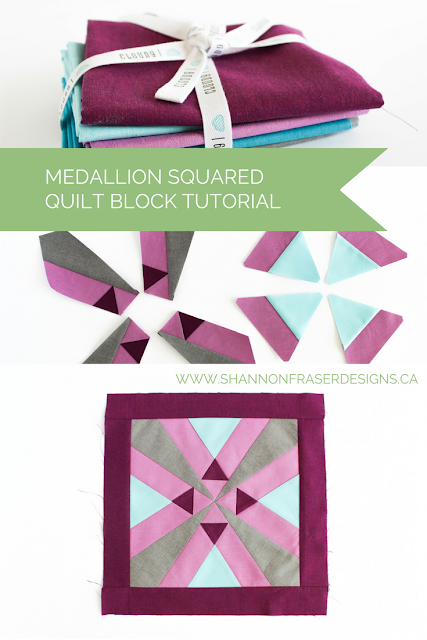 I’m super excited to share my Medallion Squared block tutorial with you all! Make sure you are printing the template as is. You shouldn’t have to mess with your printer settings, just print as she is without scaling anything. I’ve heard a light box is a highly practical tool for paper piecing, but I don’t have one, so I usually hold my pattern up to a light or window (depending on the time of day!) when laying out my fabric pieces. Remember, you are attaching the fabric on the wrong side of the template, but you are sewing on the right side of the template. The pictures below will help! Cut your pieces on the larger size. There is nothing worse than getting half-way through your pattern piece only to realize one of your fabrics isn’t large enough to cover the entire area plus the seam allowance. 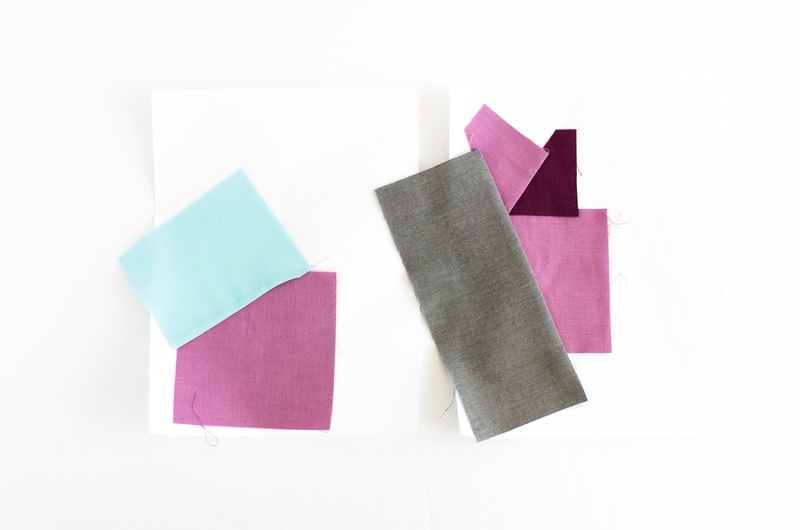 Don’t forget about the seam allowance!! I’ve been quite generous with the cutting dimensions to give you wiggle room. A glue stick comes in handy for holding that first piece of fabric in place if you find it’s slipping around on you. A piece of card stock or, in my case, a magazine subscription insert works like a charm to get crisp paper folds. Drop your stitch length to 1.5, this will make tearing off the paper easier once the block is done. Back stitch at the start and end of each line. This will help prevent any seams from opening when you tear off the paper. But it makes seam ripping really tough if you make a mistake, so your call on this one! 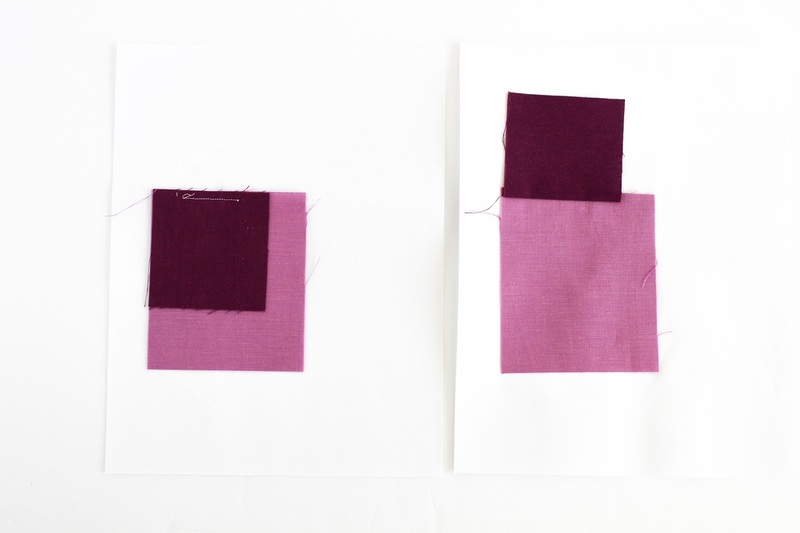 Make sure your fabric is laying flat on the under side of the paper when you start stitching. Nothing worse than flipping your paper over and seeing a fold in your fabric. OK, here we go with the fun stuff! 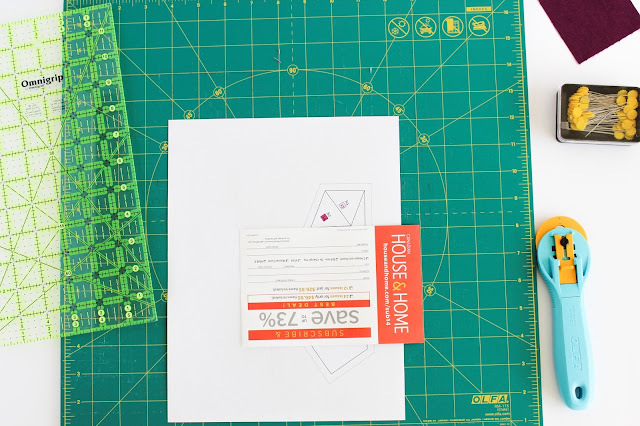 The first step in paper piecing is to print out the templates. Remember my tip to ensure you don’t change the zoom factor, it should be at the correct size without having to fuss with anything. You will need four copies of each template. Note - I’ve made the pieces a little larger to give you extra wiggle room for placement. If you are more experienced with paper piecing, then by all means go free form and cut your pieces to the sizes that suit you best. Now that you have your fabric all prepped, let’s get sewing! I like to start by gluing all of my #1 pieces in place. This helps keep the fabric from shifting around while I get ready to move onto section #2. Since we have 2 templates repeated 4 times, I like to attach everything in order by #. So all 2’s get done on all the separate paper piecing patterns. Then I move onto 3 and so on. In this case, template B only has B1 and B2, so it’s done before you know it! But it’s a good habit to get into if you are working with more complex paper piecing patterns (I’m looking at you Blue Dragon!). Starting with template A, find A1. 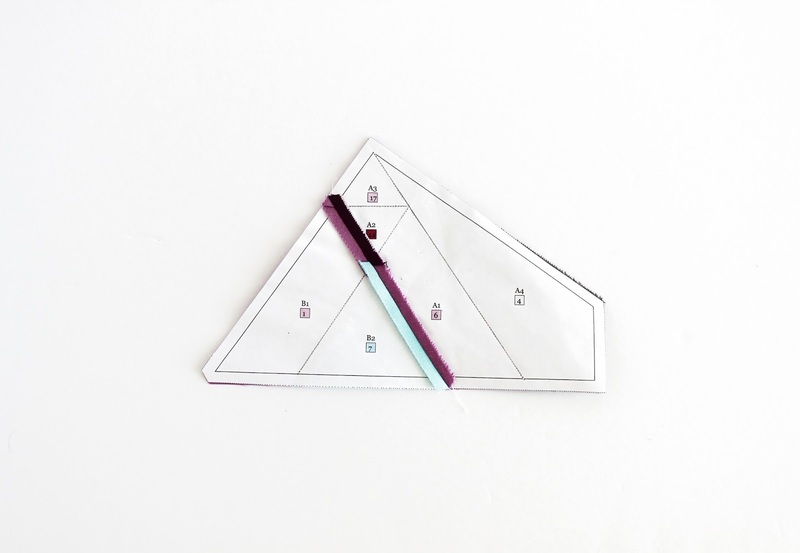 Place a dab of glue in the center of the triangle on the wrong side of the paper. Repeat this step for all A1s and same for all B1s. 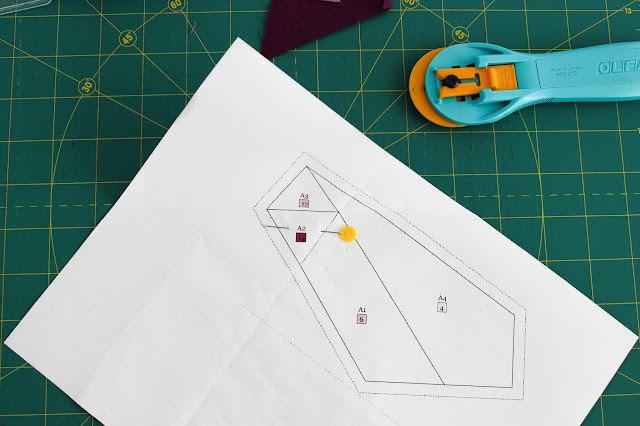 Make sure that your fabric covers the entire area, including a ¼” seam allowance. 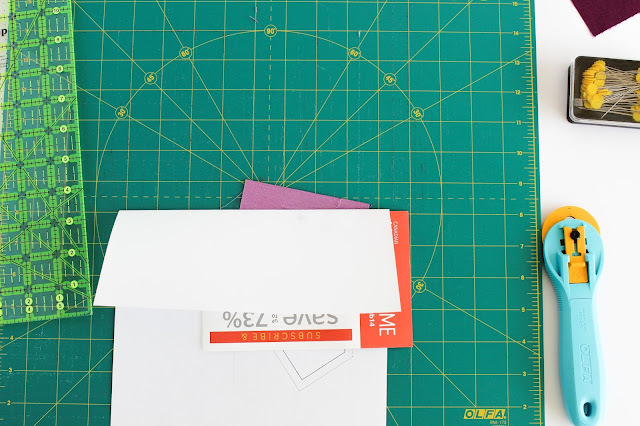 Flip the paper over, line up your cardstock along the line joining A1 to A2. Fold the paper template back exactly along that line, using the cardstock to get a nice crisp line. 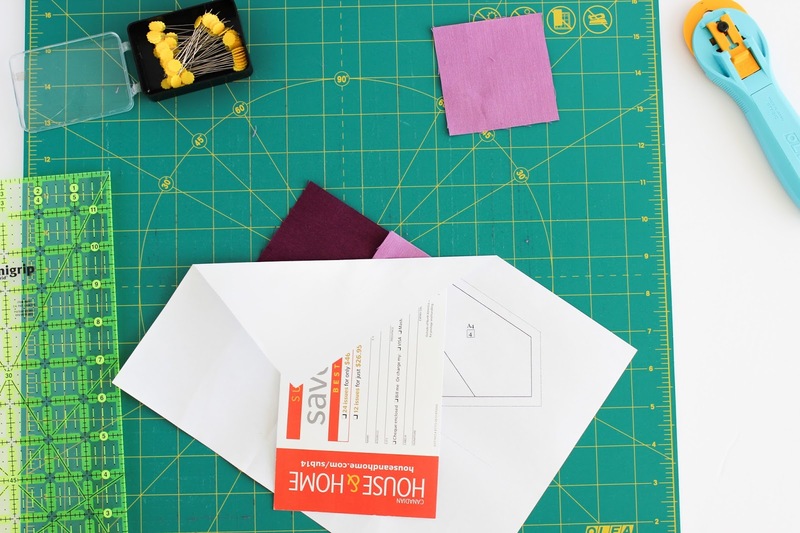 Line up your ruler, leaving a ¼” seam allowance of fabric beyond the folded line and trim the excess fabric. 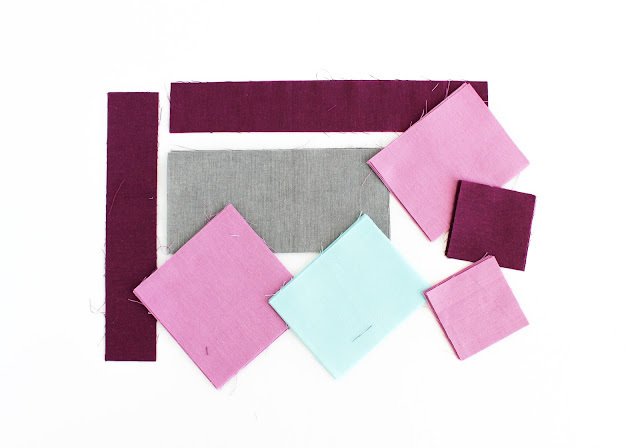 Line up A2 fabric with your newly cut A1 fabric, ensuring your A2 shape is fully covered by the fabric. Pin in place. 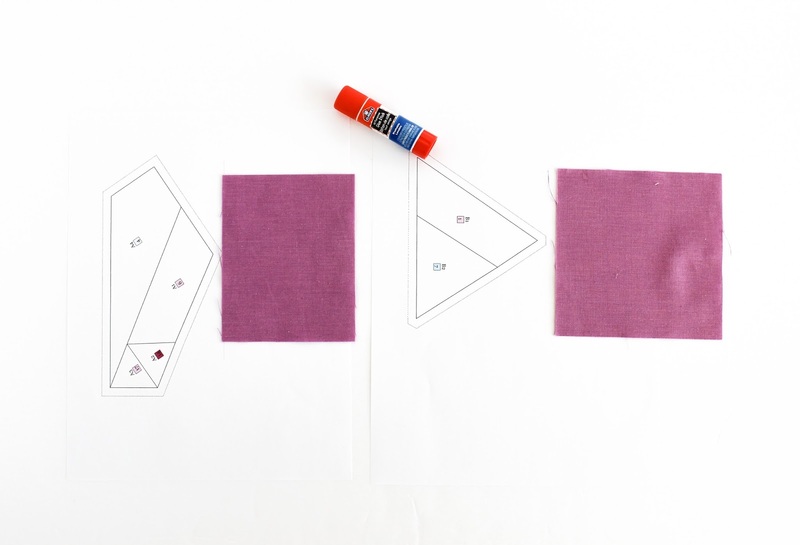 Using a 1.5 stitch length, sew along the line between A1 and A2. Repeat on remaining 3 A templates. Use the same technique as above for template B. Once stitched in place, set your seams and iron back the fabric. Now for A3. Fold the paper back along the line between A2 and A3. Trim excess fabric leaving a ¼” seam allowance. Line up A3 fabric and pin in place. Stitch along the line between A2 and A3. Set your seam and iron back. Repeat again for A4. 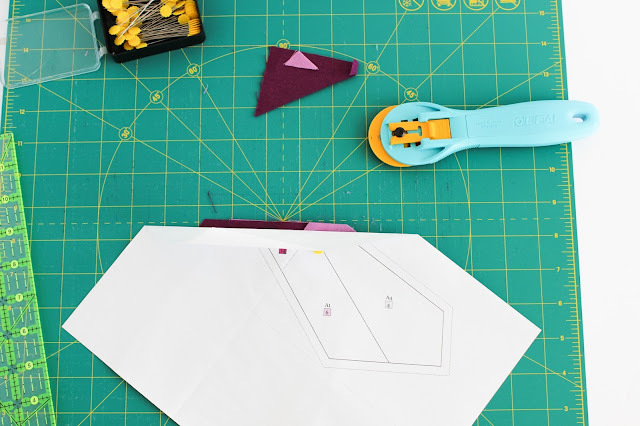 Once all your fabric has been sewn into place, we need to trim the templates down. Make sure you are trimming along the dotted lines and not the solid line. 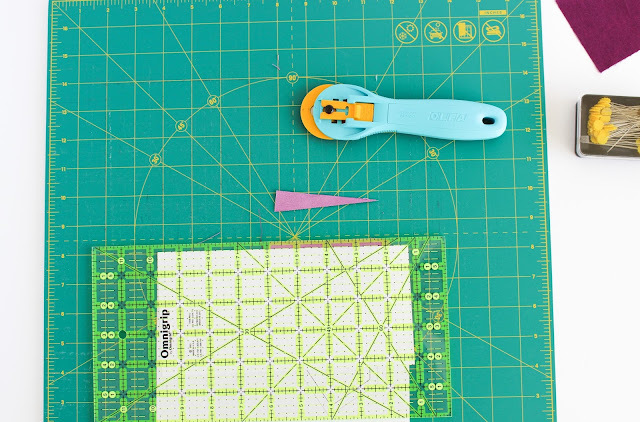 This ensures you have a ¼” seam allowance when we piece the templates together. Amazing how clean and crisp the pieces look once trimmed up! Now to join the pieces together. Whew, we’re almost there!! I like to line up my pieces to ensure I am attaching them correctly. You want the central coloured triangle tips to be touching. Then flip it over and line up the edges. Stitch in place sewing along the solid line. Set your seams and iron your seams open. This will help reduce bulk once all of your pieces are joined together. Each segment is the same, but you want to ensure that A4 is on the left hand side when facing you. Keep rotating the block so that they line up as in the picture above. Join two quarters together again sewing along the solid line. Set your seams and iron open. Now join the two halves together. 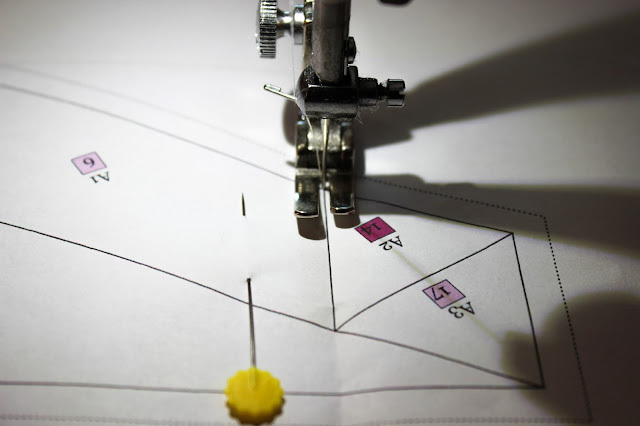 A quick tip here is to line up your center seams first. 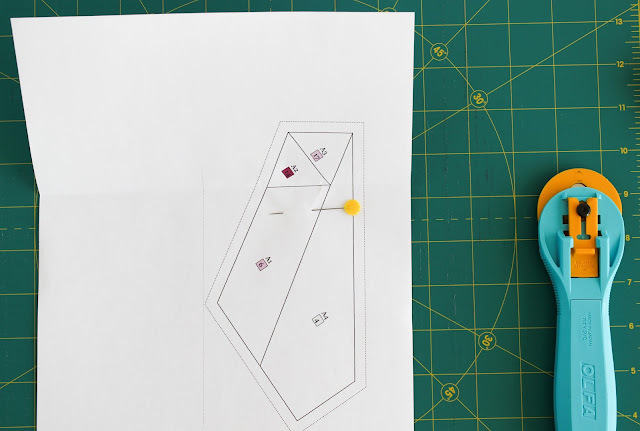 This will help ensure your pieces line up as perfectly as possible. Note – I sometimes sew down the solid line, flip the pieces over and sew again down the same solid line on the opposite side. This is helpful if anything shifted slightly. Definitely not necessary, but I found I got better points when I used this method. Set your seams one final time and iron open. 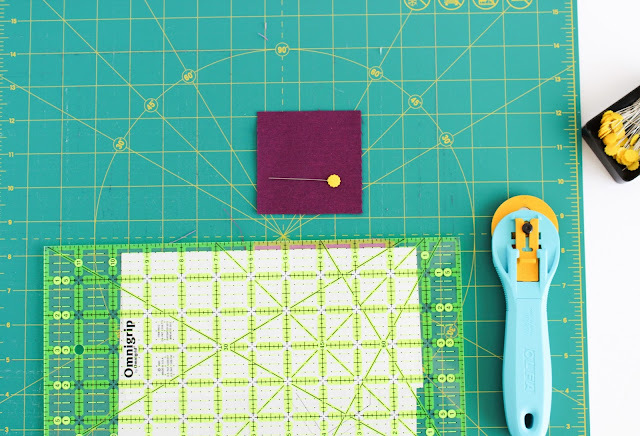 Flip your block over and top iron to ensure everything is nice and smooth. 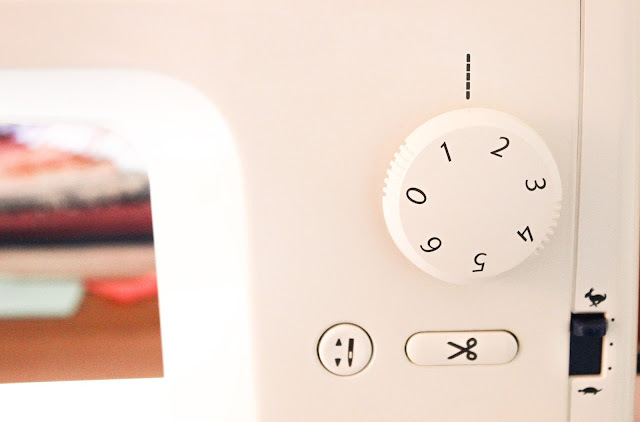 Leave the paper in place for the time being. 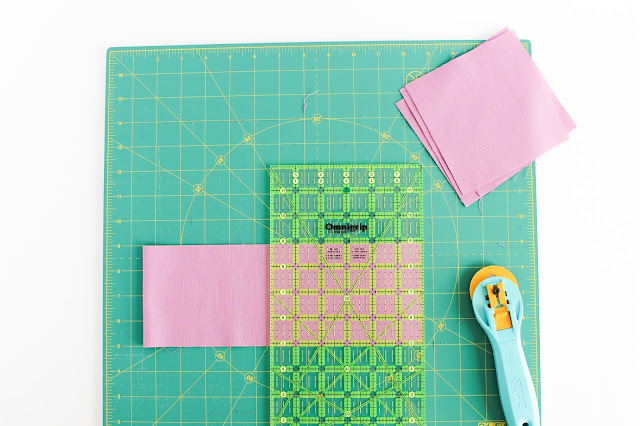 Attach the 10” x 1 ¾” borders to two opposite sides. Set your seams and iron back towards the border fabric. 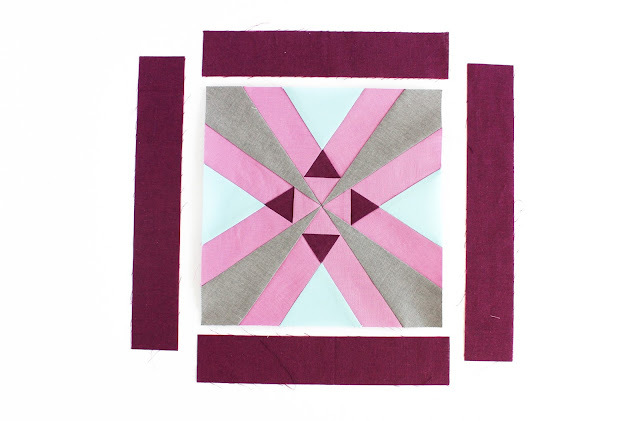 Attach the 12 ½” x 1 ¾” borders to the remaining sides, set your seams and iron back towards the border fabric. Give it a good pressing from the top and voila! Your block is done :) Well, almost. Now’s the time to flip your block over and start tearing away the paper. Take your time and don’t be too rough. You don’t want to bust any seams open! Give your block one final all over pressing and you are officially done! There – that wasn’t so hard! If this was your first time paper piecing, I promise it gets easier every time. 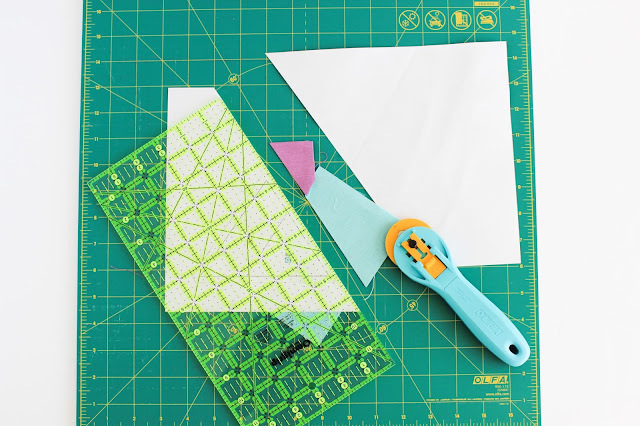 Before you know it, paper piecing will be second nature and a really fun technique to have in your repertoire. I would love to see your finished Medallion Squared block! 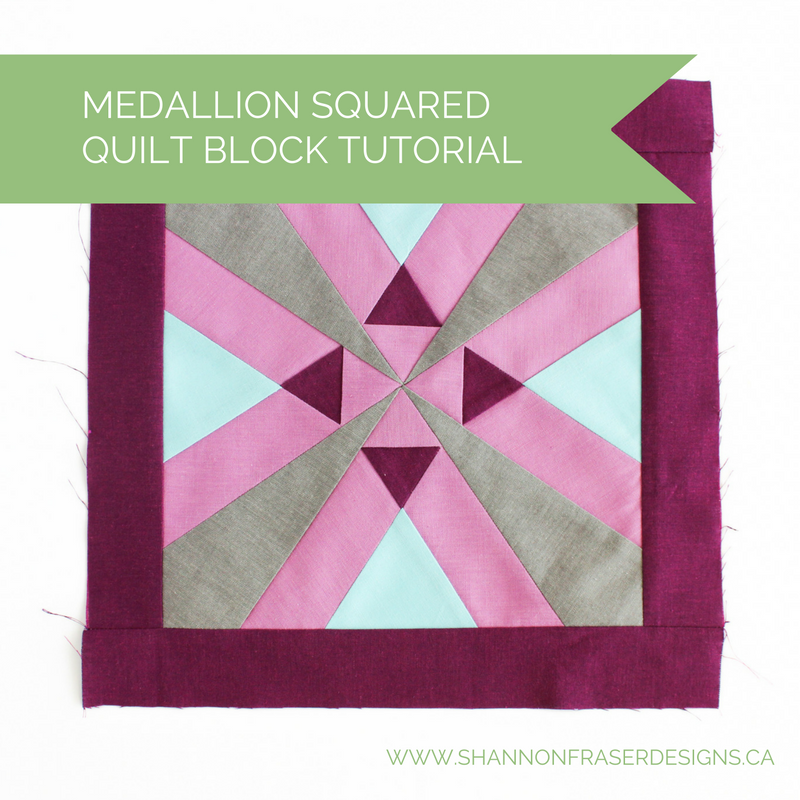 Tag me on Instagram @shannonfraserdesigns and use #medallionsquaredblock or send me an email to sfdesigns@outlook.com with a photo and link to your blog post so I can see your creation!! This was such an amazing project! 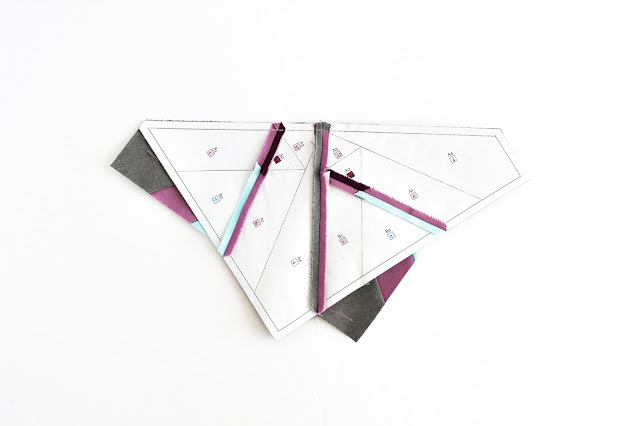 I won’t lie, I had several moments of pulling my hair out to design my first paper piecing pattern, but I’m super happy I persevered and figured it out!! My designing skills grew by leaps and bounds on this one! A special thank you to Yvonne, Cheryl and Stephanie for organizing this fun hop! And to Cloud9 Fabrics for generously donating the fabrics we used. It was my first time playing with Cloud9 Fabrics and I loved how soft their Cirrus Solids line is. I’ve got my eye on several more colours to add to my stash! Happy quilting! Oh, and if you get stuck, don’t be shy to reach out to me sfdesigns@outlook.com. 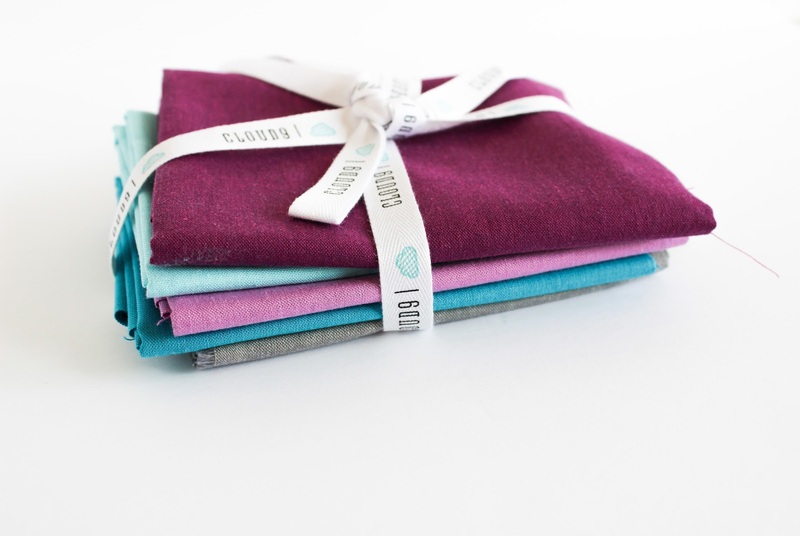 I’m always happy to talk about all things quilty!! Very, very nice. 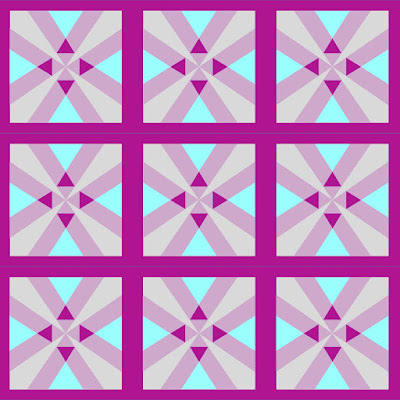 Thanks for showing the mockup of a quilt with the blocks. I just cannot visualize these things. I know that sounds weird for someone who was a math major. I have to really, really work at turning objects in my head. I took a gifted education class when working on my masters (no I wasn't a teacher) and we took an IQ test for fun. When it came to questions dealing with what an object would look like when it was rotated, I just panicked because I know how difficult it is for me just with flat objects. I felt my heart start to race; I knew my blood pressure was rising; I started to breathe harder; I was starting to have a mild panic attack. All over a silly test for fun. It is just not my forte at all. I'm glad we have computers will abilities to do that for us now. Now, for the kicker, I was a computer programmer - but I didn't do the kind of programming to do that kind of stuff. I just started following you on Bloglovin' and am anxiously awaiting your next post. I’m so happy the mock-up was helpful, Suze! And visualizing quilt layouts is no easy task, so don’t feel alone in that! What would we do without computers in this case, right?! I am busy working on a new design and will be sharing that later this month, so stay tuned! This is so beautiful! Great work and a thorough tutorial. Your tips are much appreciated! I bet this block would have a really cool and unique effect without a border, too. Very cute block. 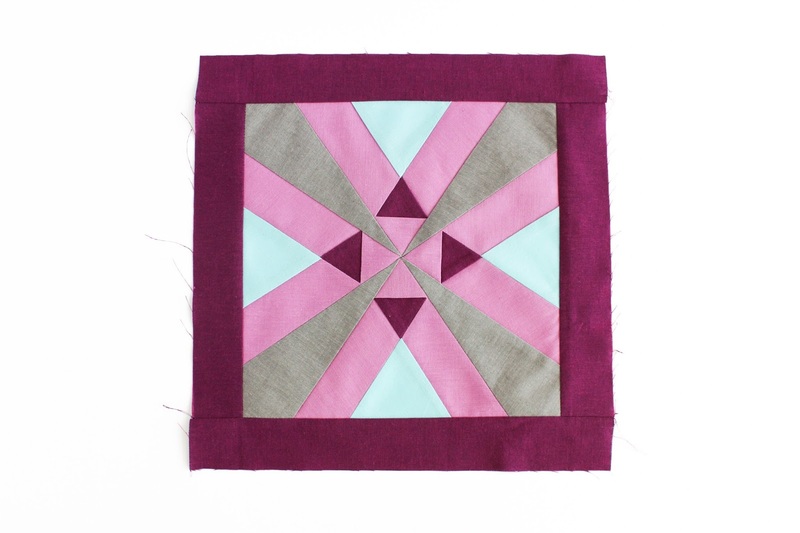 Especially love the mock-up quilt idea without the sashing. 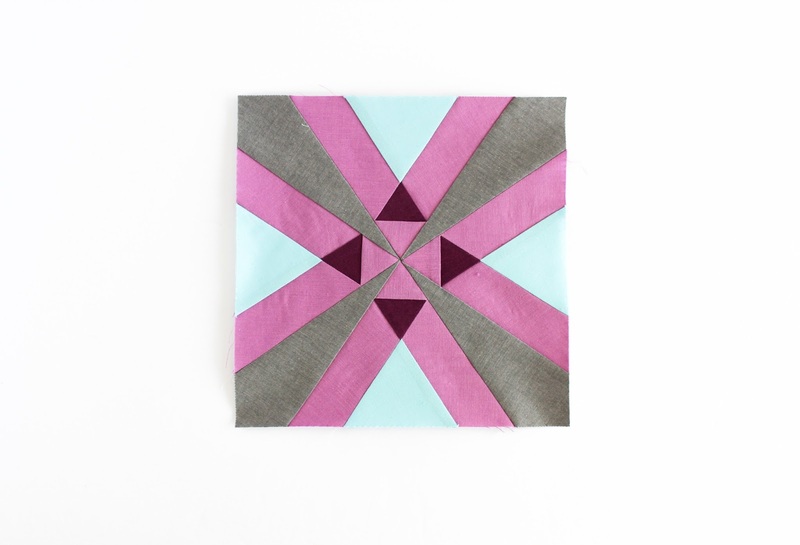 What a great block - looks like a lot of fun to make, and I love the outward movement - love it! Oh, I love how it looks in the repeat! 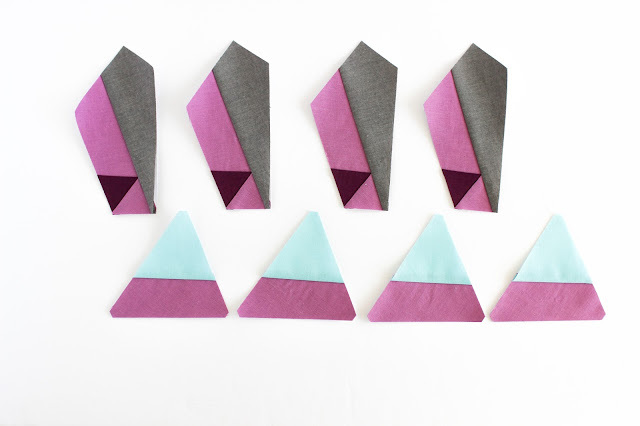 I'm not good at getting those pointy paper pieced centers just right, but this looks like it would be fun to try anyway! Definitely give it a go, Jodie! When it comes time to assemble the two halves, just make sure you line up the center first and pin in place before aligning the ends. Let me know how it goes and send me a picture, I would love to see which fabrics you use! Thank you, Susan! So happy you like it. Do let me know if you give it a go! I really love how the block comes together in a quilt top without any borders. And thank you so much for the pre-cut sizes for the paper piecing, that helps me out immensely when I tackle a PP project. Your design is great and I love that this is such a win-win-win project, too. Thanks for joining the hop! Aren’t those the best, Yvonne! I love it when everyone wins! Me too, I love how it tiles together without borders. I’m hoping to tackle it once I have a break in my schedule ;) So thrilled everyone is loving that I shared the cutting instructions, I’m surprised more paper piecing patterns don’t include those instructions. I really like this one! Your tutorial was really clear and easy to follow. Great job! What a beautiful block you have created and I love the fact that it is paper pieced. GREAT job! Such a creative block. You did a great job designing. Thank you, Anja! It was such a fun project that really challenged me on so many levels. Super thrilled we had this chance to participate! I really like your block, especially the way the units look when they are tiled together without borders. 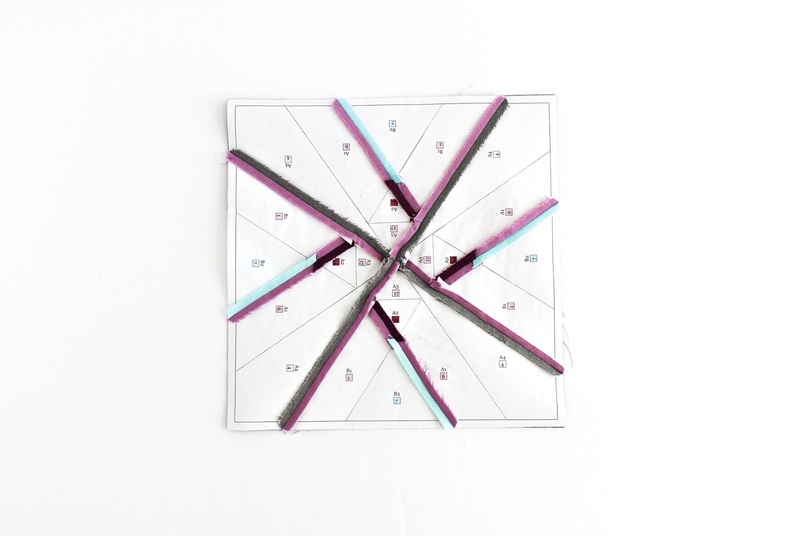 My paper piecing experience is limited, so I appreciate your great photos and excellent instructions. Giving the sizes to precut the fabrics is a big help, too. Drop dead gorgeous! Congratulations. What else is there to say? =) Where can I order a completed quilt top please? Ok you totally made my day with your comment! Super sweet of you! 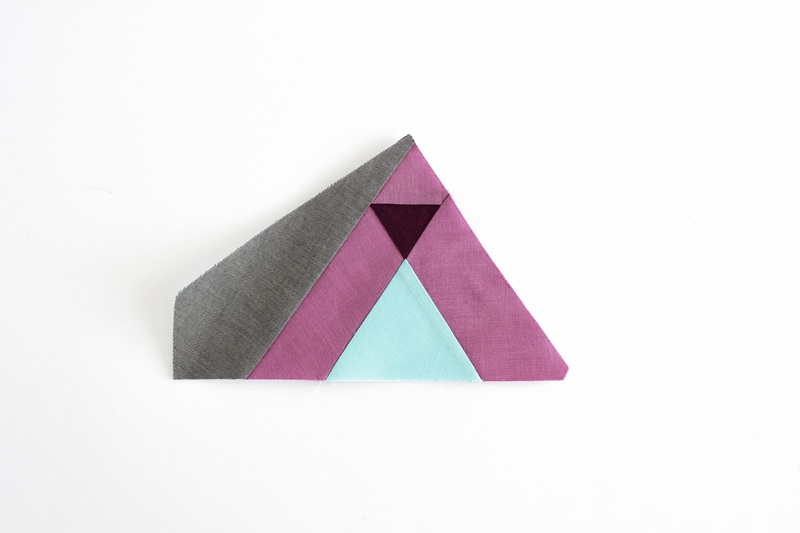 Cool block and great paper piecing instructions. Really love the quilt layout without the borders. Nice job! Thanks Ann! I’m so happy I decided to include the layout without borders as that seems to be resonating the most with everyone! I love this block. It's so pretty. You did a really nice tutorial with great photos! I’m thrilled to hear that! Thank you! So pretty and perfectly pieced. 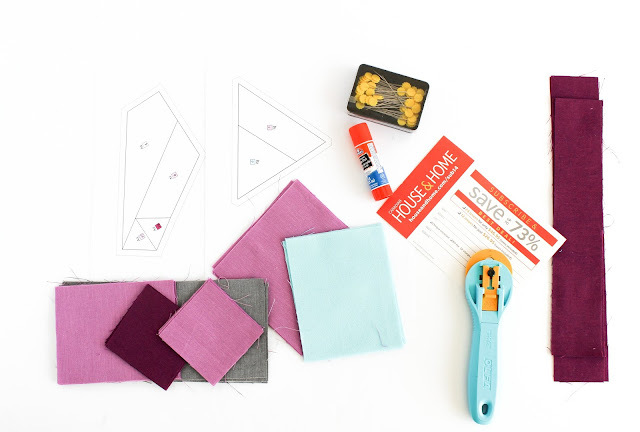 Great design and love all the setting and fabric combo.Fantastic tutorial,easy to follow! I love the geometry of this block - I will keep it in mind for a future project! Love your block! 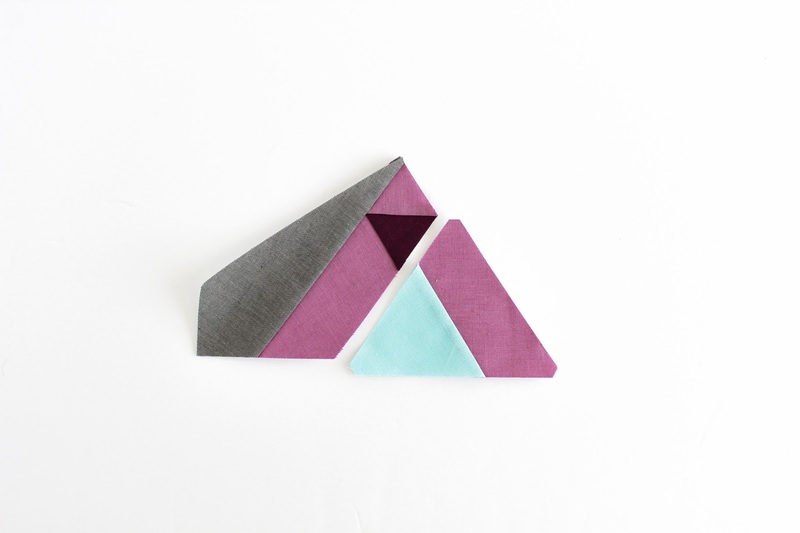 I am still fairly new to paper piecing, but I might give this one a try. It is just lovely! Great job! another stunning paper pieced block! 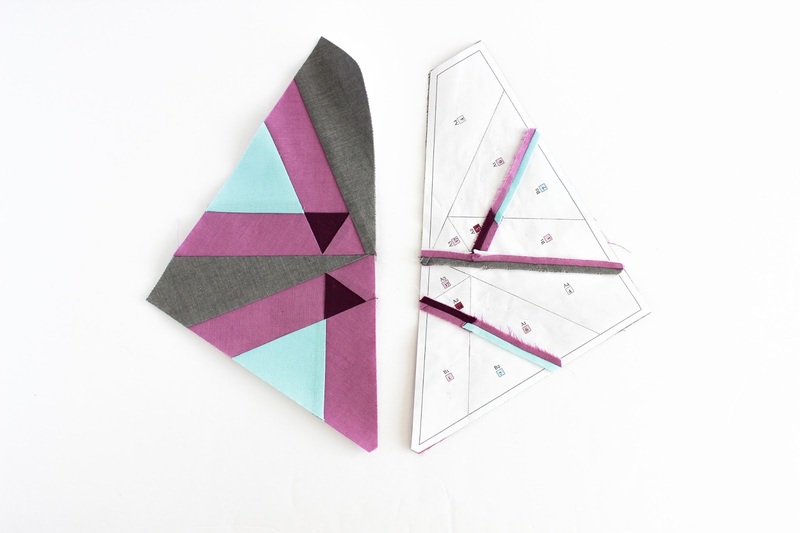 I really am going to have to try some paper piecing! And I love the secondary patterns produced when put together with no sashing.... great block!! I absolutely adore this block! And paper pieced - my favourite! I’m so thrilled you love my block and that you adore paper piecing!! Isn’t it fun! Well, minus the feeling I get of wasting fabric. But I now have a special box for my leftovers which I dig through for all my paper piecing projects! Do tag me if you give it a go, I would love to see the fabrics you choose. Your block is quite lovely Shannon and the tutorial is so well done. It amazes me that with all the bloggers designing blocks, they are all very different. 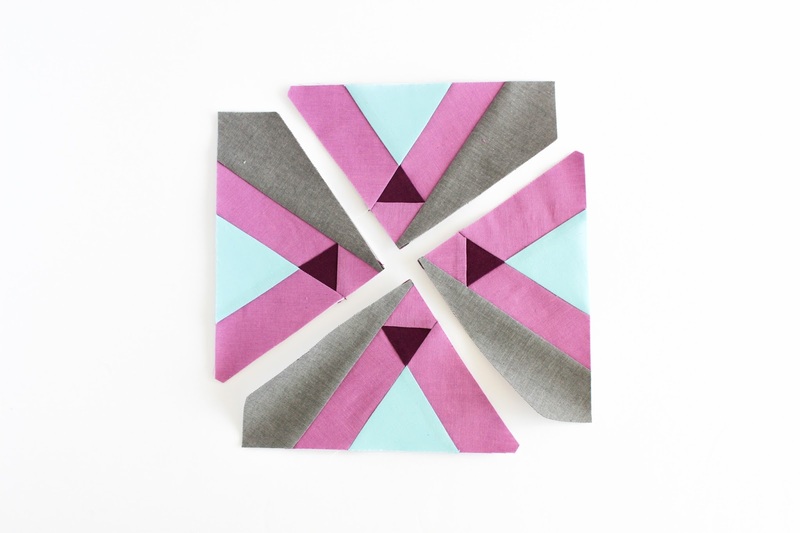 These Cloud 9 colors are gorgeous together and the individual blocks are awesome. Can't wait to see the finished quilt! Thank you, Nellie! This was such a great project and I hope you have a chance to give the blocks a go! This is a great design! I loved seeing the potential look of an entire quilt. I think my favorite is the one with no borders. Wonderfully done! Such a lovely comment, Janice! Thank you! And isn’t the mock-up without borders so fun! I can’t wait for a break in my project list to give it a go!! That is such a fun design! And great job with the tutorial! Oh Shannon this is just stunning!!! It's taken me a little while to work to the end of the list but I am very glad I did!! Just downloaded your wonderful pattern, thank you! It looks great with the border as in the block above but also looks fantastic in your mock up with no borders. Now I just need to find more hours in the day!! I'm slowly making my way around to all the other new block bloggers. 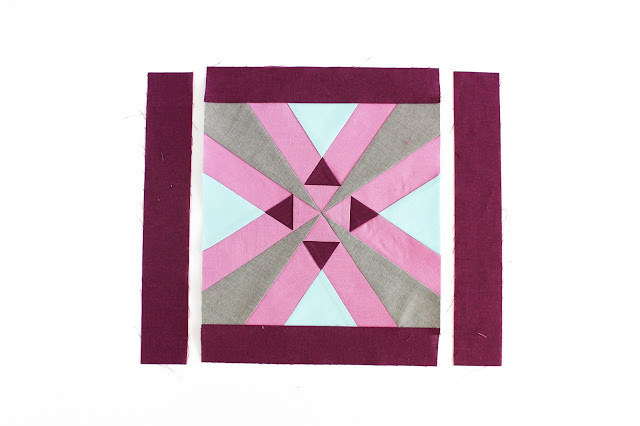 I love your block and especially love the secondary pattern that is created both with and without the block boarder. I enjoy FPP and would love to give this block a try! Cheers! Beautiful block! I especially love the secondary design it creates when it's made without borders. Lovely. Thank you, Jennifer! Yes, that secondary design is so fun isn’t it!? Let me know if you give the block a try. 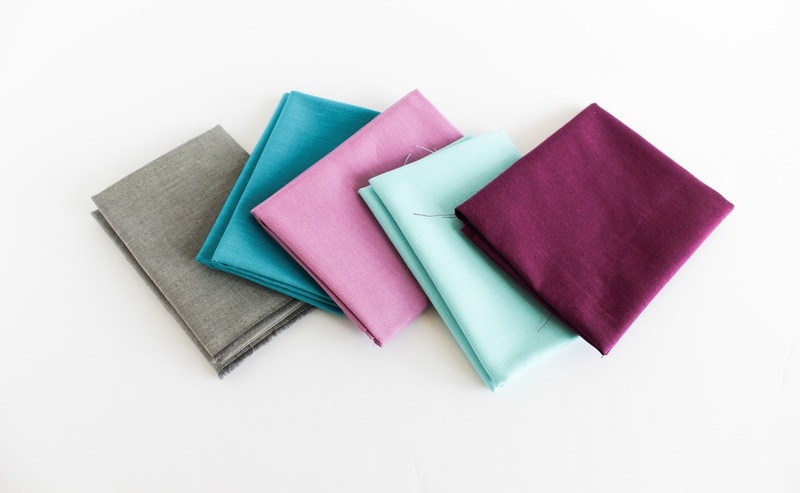 I would love to see the fabrics you choose! !